Brianna and Rodney shouted Jan a hair colouring for Mothers Day in preparation for a family reunion – for many years this was a tradition for Jan and the source of some speculation as to the actual colour she would be on arrival in Thorpdale. Well, just for once David joined in. He expected to get heaps from brother-in-law Bill but all he got was a bit of a look up and down and “it suits you”. Mid May we flew south to join the family celebration for Jan’s Dad’s 90th birthday. Rod flew from Canberra and was waiting for us at Tullamarine. We got another cheap hire car – a $22.00 per day special and headed to lunch with Brianna before heading to David’s sister’s place in Boronia for the night. Next morning – the actual birthday – all 4 of us Laughers headed to Trafalgar and arrived just in time to drive the birthday boy up to Jan’s sisters for the party. Dad/Pa had just got out of hospital after having his gall bladder out after an attack of gall stones. 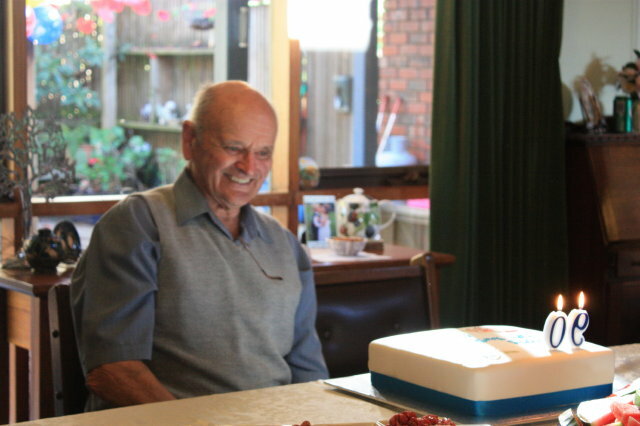 His first trip to hospital in 68 years – I reckon Medicare owe him a big refund! 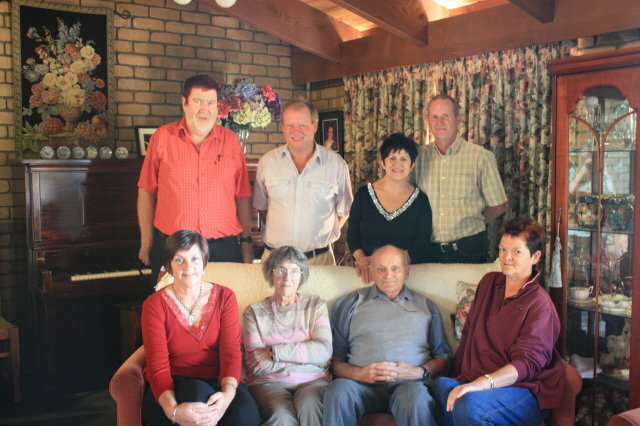 A great day was had by all Stan’s (and Doreen’s) family. 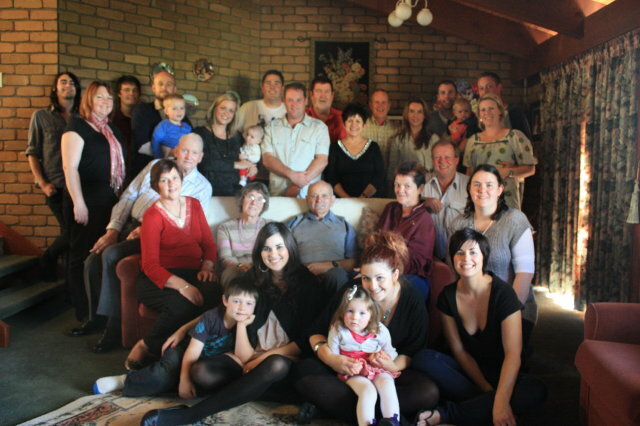 Three children and their wife/husbands, nine grand children with all but one partner present and five great grand children. 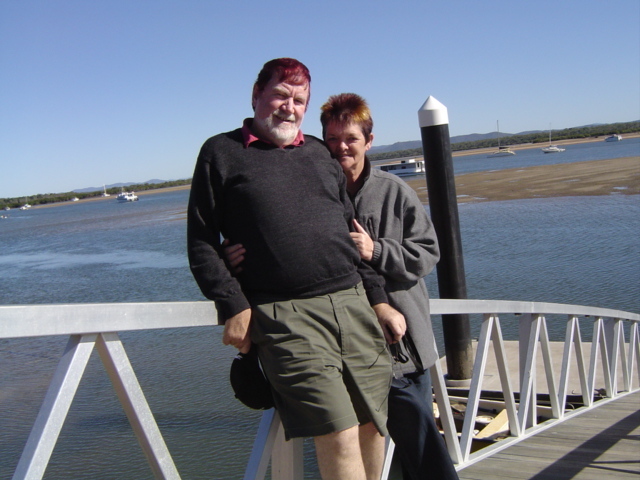 Jan and I returned to Trafalgar that night while Brianna and Rod stayed with Jude and Bill at Thorpdale. 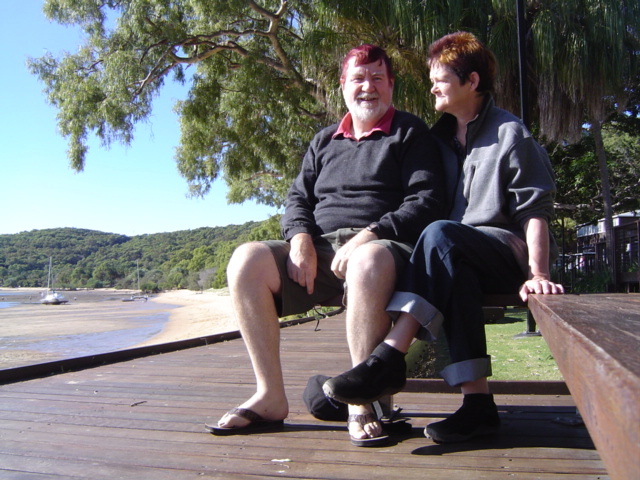 We drove back to Melborne on the Monday and we flew back to Emerald the next morning. As David had just started a new job the trip was short but sweet. David is now driving big red Greyhound buses, mainly delivering miners to a couple of coal mines around Emerald. He has plenty of time off during the day and has managed to help his mate Peter with his tilt-tray business in exchange for learning the “tilt-tray” ropes when there is enough work. 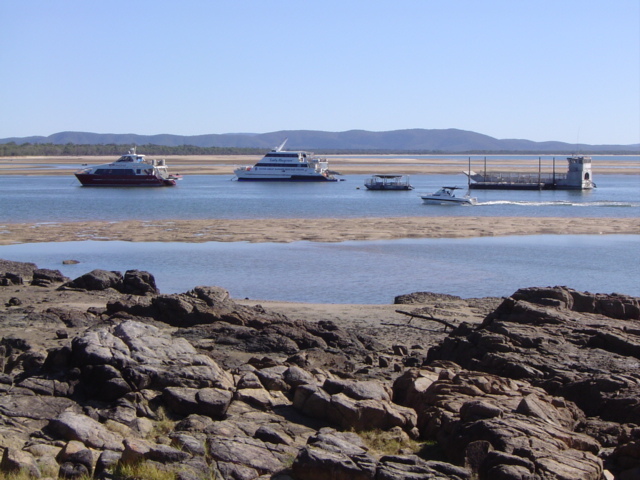 Split shifts and weekend work are the norm with Greyhound, so when he got two and a half days of the Queens Birthday weekend off we decided to head to Agnes Water – 1770 for a couple of nights. We had a good look around and a relaxing couple of days. Back to work this morning with 4 brand spanking new coaches added to our fleet in the last week.